Born Pretty Store nail art pen, dotting tools, and OPI My Vampire Is Buff were sent for review, Essie DJ Play That Song was purchased by me. All opinions are my own honest thoughts. 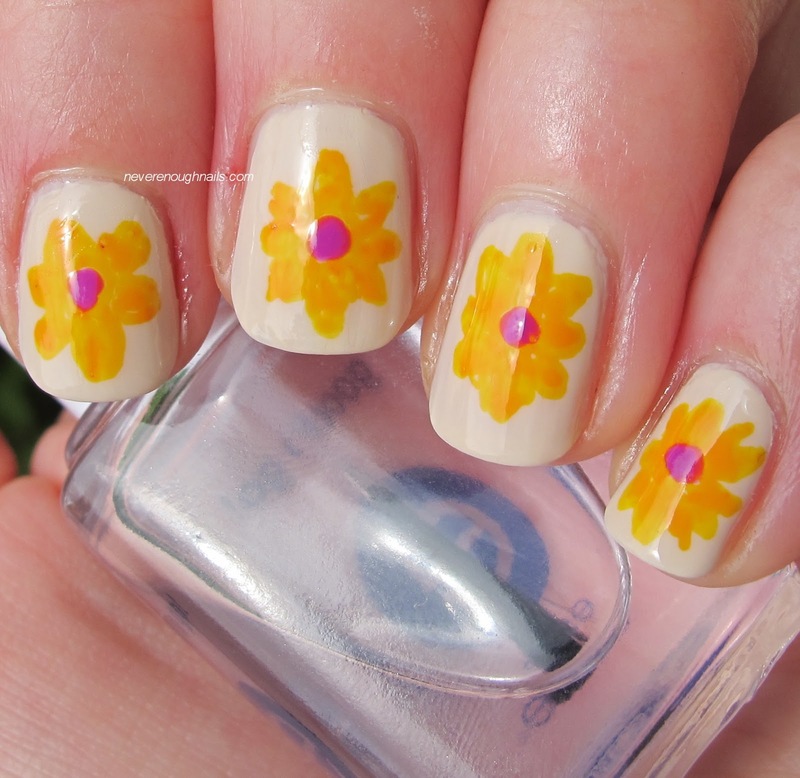 OK, OK, we all know by now that I'm no nail art guru! But that doesn't mean I can't try from time to time! The fun thing about nail polish is doing whatever you want to do, so if you get the urge to try some nail art, just go for it. It comes off in less than 5 minutes with remover anyway. 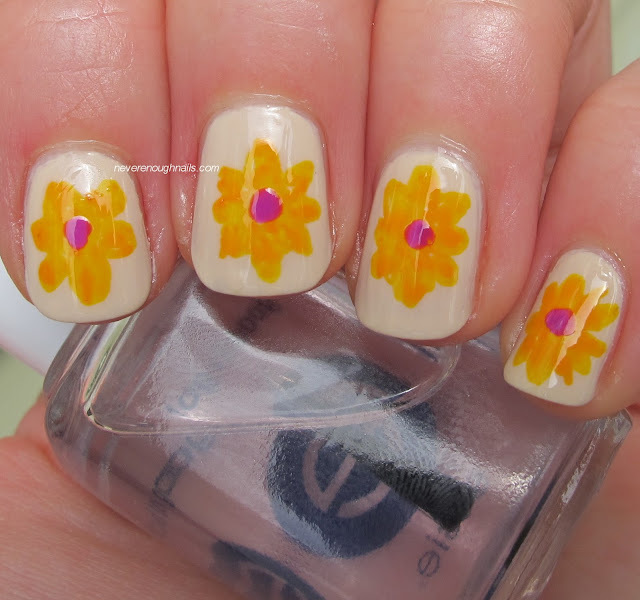 Born Pretty Store recently sent me this nail art pen in such a lovely shade of golden yellow (#15) and I immediately thought of flowers. All of the nail art pens I've tried in the past have been black, so it's nice to have a colored one for a change. My flowers look a little impressionistic, but they weren't hard to do and they look cute from a distance LOL. To use the nail art pen, you shake it and then press the tip down on a paper towel/scrap paper several times to get the paint flowing. I then drew a circle in the center(ish) of each name and made petals around the circle. 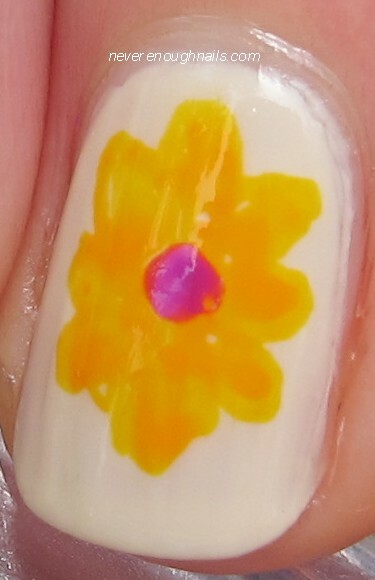 I used a Born Pretty Store dotting tool (reviewed here) to dot Essie DJ Play That Song into the center of the flower. Easy! 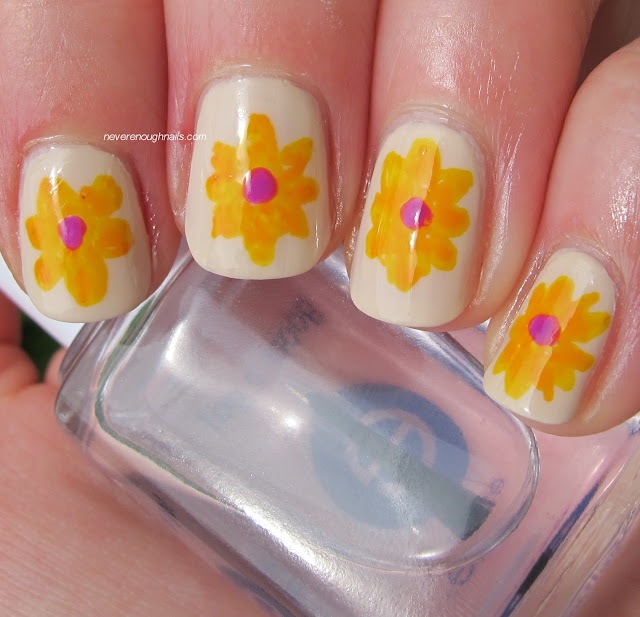 If I had a little more nail art skill, I bet this would look fantastic! The tip on this nail art pen is very stiff and firm. This is a good thing, because it allows you to be more precise with your designs. However, you have to make sure your nail polish is absolutely 110% dry. I would actually recommend doing the base color at night, letting it dry while you sleep and then doing the design the next day. If the polish isn't dry, the tip of the pen can dent and scrape the base color. 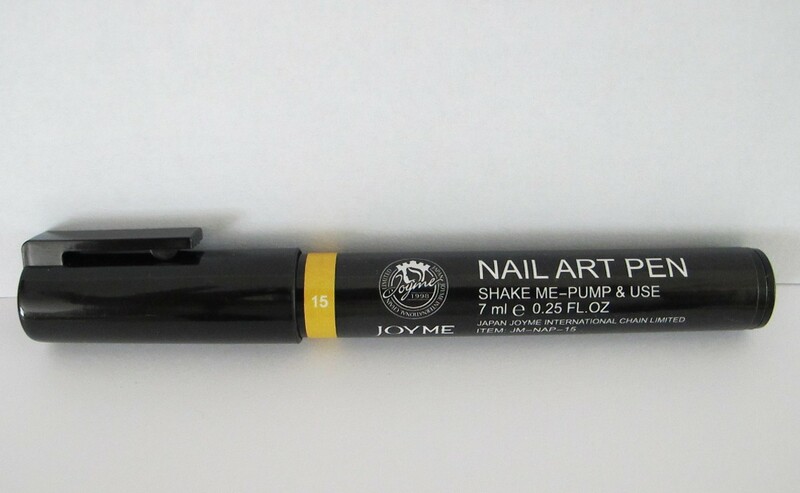 Overall, this is one of the better nail art pens I have used. The polish doesn't come gooping out all over, nor does it not come out when you're using it. The firm tip is good for precise designs (not that I am able to do those...). I also like that this comes in a couple of cute colors besides basic black or white, including pink, red and silver (it does also come in black and white if that's what you want). The budget friendly price of $3.99 doesn't hurt either! The only downside I saw was that the stiffness of the tip can wreck a still wet mani, so just make sure your base polish is dry as a bone. This nail art pen is available at Born Pretty Store. They do have free shipping worldwide and you can get 10% off with the code ERJ61.